Make New Year's Eve a night to remember; ring in 2019 in Phuket. 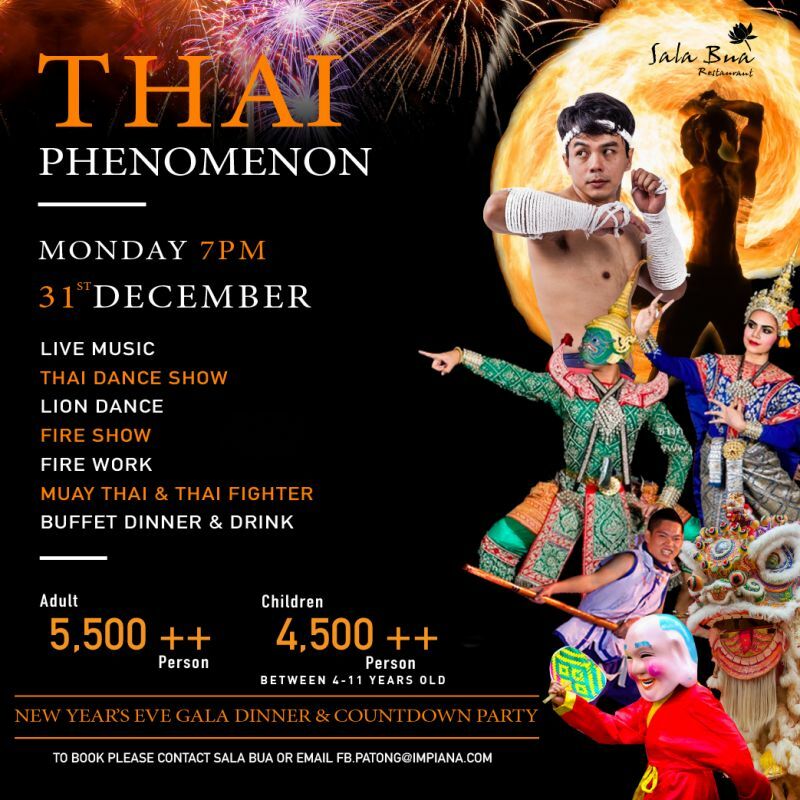 Join families, friends and loved ones for an extravagant celebration at our “Thai Phenomenon Night New Year's Eve Party and Gala Dinner” by vibrant Patong beach at Sala Bua restaurant. Enjoy an array of Thai delights, local Phuket foods and much more fabulous feast, created for this occasion. There will also be enchanting Thai dancers, a lion dance, lucky draw and live music to mark the auspicious night. The New Year's Eve celebration will end with an unforgettable countdown with beautiful uncountable firework on Patong beach.